Healing Occupational Therapy: What can You do with Lemons? When life throws you challenges what do you do? Many love to quote "When life gives you lemons make lemonade "
What do you do if you do not like lemonade or do not know how to make it. Is this really your only option? Let us take a look. What can you do with lemons? Well you can add some other citrus fruit and make jam (jelly) or marmalade. You can sell the lemons and use the money for whatever you need. You can sell some of the lemons and purchase some other fruits and work towards starting a fruit store. You can use the lemons to season all kinds of dishes: salads, fish, salad dressings are a few ideas. You can squeeze the lemons and make ice cubes with the lemon juice which is very refreshing in a glass of water. You can say thank you and enjoy the lemons. You can sit down and do a Google search on all the options of how to use lemons and decide if there are ideas I have not come up with. You can photograph the lemons individually, as a group, cut them open and come up with as many unusually images that you can. Like wise you can draw the lemons in various different combinations. You can cut the lemons into quarters, place them at various places in your home and it will absorb unpleasant odours. There might be many more options of what to do with lemons. The point is to consider that lemons are good. There are benefits to lemons and even if you had not expected lemons there are ways you can use lemons for good and to create good in your life. What are your thoughts. 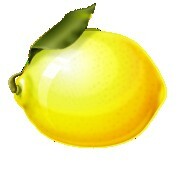 Do you like lemons? What do you like about them? What goals would you have to meet if you suddenly found you had a load of lemons? What symbolism can you assign to lemons? I'd love to hear your thoughts, so please share your comment at the end of the post.